This month, we had news on Big Data, Juju and Mojo. We also introduced our global OpenStack roadshow kicking off next month, as well as our new classroom-based OpenStack training courses scheduled for April and May. Finally, we also had some great partner ecosystem news for you. So dive in and enjoy! Firstly, Canonical announced the launch of it’s global OpenStack Roadshow in the America’s next month. Mark Shuttleworth and senior leaders of Canonical’s OpenStack strategy will present their roadmap and exchange views with cloud architects and executive sponsors for private cloud initiatives across the global enterprise landscape. The tour will include events in North and South America, Europe and Asia and is open by invitation to those shaping private cloud strategies in select companies. Click here to see if we’ll be coming to a city near you. Canonical also announced a new programme designed for companies that have decided to use OpenStack, the world’s most powerful open cloud platform. Created by Canonical’s Engineering team, the Ubuntu OpenStack Fundamentals Training course is an intensive 3-day, hands-on classroom-based course of lectures and lab work. It’s designed for companies that have decided to use OpenStack, and will give you the best introduction for setting up and running Ubuntu OpenStack clouds. We’ll be offering both on-premise and public courses with additional sessions planned for later this year. Learn more about our Ubuntu OpenStack Fundamentals Training course here. Last week at the Strata Conference, Microsoft announced the preview of Azure HDInsight on Ubuntu, the leading scale-out and cloud Linux, great for running Big Data solutions. Azure HDInsight, is Microsoft’s Apache Hadoop-based service in the Azure cloud. It is designed to make it easy for customers to evaluate petabytes of all types of data with fast, cost-effective scale on demand. The Ubuntu cloud ecosystem has also seen continued growth across our key areas over the past month, with new partners Vzzual, Talligent and hSenid joining our Charm Partner Programme, and Fujitsu who joined our Certified Public Cloud programme. This ecosystem expansion is resulting in a set of new cloud and scale-out solutions on Ubuntu that are easy to deploy, along with additional options for using Ubuntu in a public cloud. Finally, learn how systems integrator, Alliance Technology Group have partnered with us to deliver Ubuntu OpenStack clouds to telco and enterprise customers. Or how IT infrastructure specialist, Gyrocom together with Canonical are equipped to deliver next-generation IT for enterprises delivering OpenStack. This month we released the 3rd and final installment of the Mojo blog series. In the first article we introduced Mojo, and in the second article we took a closer look at specifications and manifests. The third article walks through an example service deployment so you can see Mojo in action. 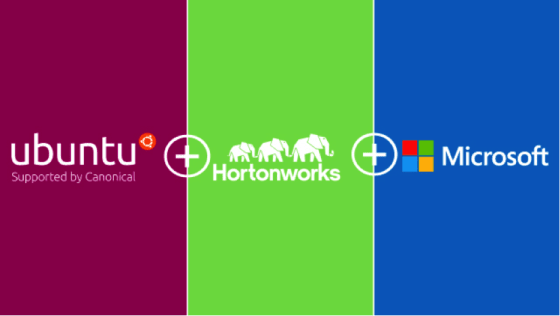 In other news, learn how the Microsoft Azure team and Canonical collaborated to ensure that service orchestration tool, Juju, could be more widely used by Azure users. Attending Mobile World Congress next week?